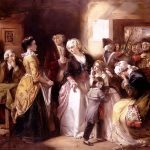 This revision podcast is designed for students studying the French Revolution. 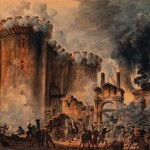 Beginning with the storming of the Bastille on 14 July 1789, this episode explores the first phase of the revolution up to the summer of 1791. Beginning with the August Decrees and the Declaration of the Rights of Man, it goes on to explore the challenges faced by the Constituent Assembly. The terms of the Civil Constitution of the Clergy are explained before going on to present an overview of the terms of the Constitution published in September. The podcast then explores the challenges to the revolution including the emigrées, divisions between the Jacobins and the Girondins, and the role of foreign powers. 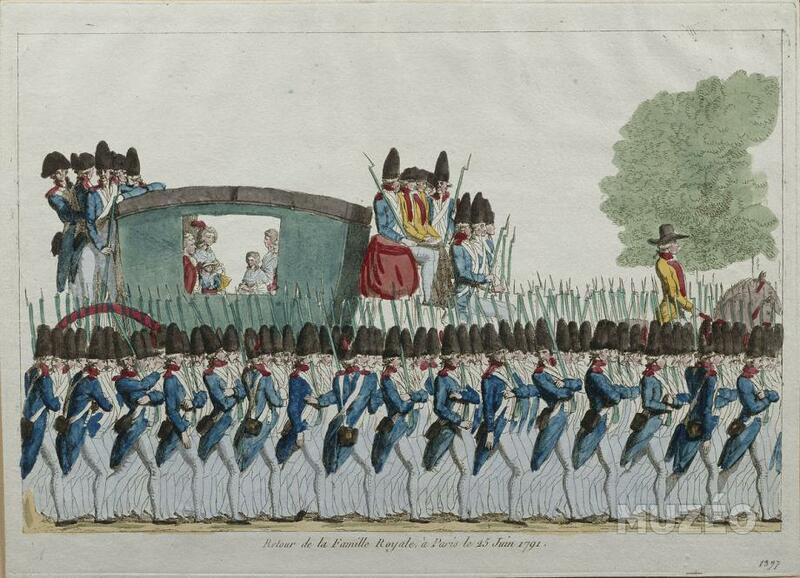 The episode concludes with an overview of the Flight to Varennes and the demonstration at the Champs de Mars. 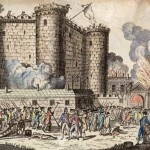 The morning of the 14th July 1789 saw the beginning of the French Revolution when Parisian revolutionaries stormed the Bastille, a large fortress, prison and ammunition store that symbolised everything that was wrong with the monarchy. A great diagram to illustrate the political spectrum during the French Revolution. Original source unknown. This revision podcast follows events from the first meeting of the Legislative Assembly in October 1791 to the execution of the King in January 1793. 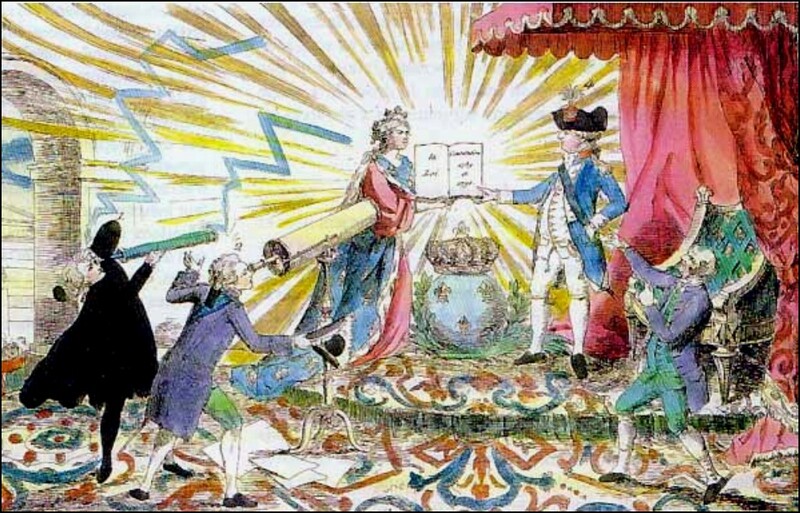 Growing tension between the revolutionaries and the King are explained through Louis’s decision to continue vetoing laws, the issuing of the Brunswick manifesto, and the King’s imprisonment in the Temple. As well as struggling to fight a war against Austria and Prussia, the revolutionary government was faced with internal struggles. The divisions between the deputies in the newly-elected National Convention are discussed against the backdrop of the September Massacres of 1792. 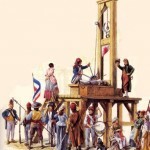 The episode ends with an overview of the trial of Louis and his eventual execution by guillotine on January 21st 1793. 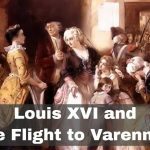 What happened when Louis XVI attempted to escape from Paris in the Flight to Varennes? King Louis XVI of France and his family were caught attempting to escape Paris during the Flight to Varennes. 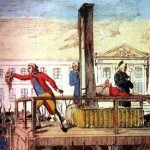 This lesson is aimed at A Level students studying the French Revolution. Inspiration comes from the classic (yet still excellent) SHP KS3 textbook ‘Societies in Change’. I teach CIE AS Level 9389, although this lesson would work just as well for other specifications. 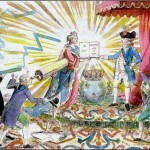 My most recent examination breakdown highlighted the need to increase student engagement with sources, so I devised this lesson in which students take the role of the National Assembly after the Flight to Varennes and use a range of primary documents to form and justify their own judgements about how the Assembly should deal with Louis XVI. Having studied the causes of the French Revolution and the collapse of the ancien regime in 1789, students are required to consider the changing relationship between Louis and the National Assembly that led to his execution. 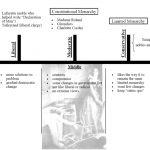 By using documents to consider the public and private attitude of Louis towards the Revolution, and how his attitude changed over time, students are equipped to understand why the Revolution became more radical. While some of the sources used in this lesson have been edited for length, the text is presented as it is in the original translations in order to immerse students in the structures and language of the 18th century. You can download a single PDF containing all the sources by clicking here. Alternatively each one is linked to separately in the lesson overview below. Set the scene by reading Source A, which is a letter by Marie Antoinette to her mother shortly after her marriage to Louis in 1770. Draw out the apparently positive relationship between the people and the royal family – it is especially interesting to discuss how Marie recognises the crushing taxes on the poor yet once queen did nothing to ease them. 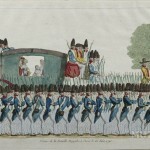 Show Source B – a contemporary illustration of the royal family being returned to Paris after being captured at Varennes. Don’t share the story yet, but point out the date as being much later than the letter: it is after the Fall of the Bastille, the October Days, and the first meeting of the Constituent Assembly. Ask students to compare it to the previous source. If it isn’t mentioned by the students, it’s worth steering discussion towards the role of the guards – previously the guards were there to protect the royal family; now they are prison guards. Discuss the change in the relationship between the two sources. What has changed? Why might that change have come about? Draw on previous knowledge of the August Decrees, the Declaration of the Rights of Man, and the drafts of the Constituent Assembly to show that now the people were exercising authority rather than the monarchy. How would the king react? They will probably identify that he could submit to them, continue to be an obstruction, or try to regain his authority. If the latter, how would he do that? Show short video clip about the Flight to Varennes. Discuss how different interest groups in France would respond on his return – what options were open to the Assembly? Students may jump on the idea of the king being a ‘traitor’ it’s important at this point to remind them that there is no proof of treason – only a suspicion. Study Source C, Source D and Source E. What do they reveal about the king’s reasons for escaping? Ensure that students make detailed reference to provenance to demonstrate the difference in explanations between the public and in private. Introduce Source F. Explain that it was written before the Flight, but found afterwards during a search of the royal apartments. How does this affect previous judgements? Draw out comparisons with Source D – had the king’s opinion changed between April and June? In what way? Why? Explain that it was against this background of evidence that the National Assembly had to decide what to do with Louis. The students now take the role of the Assembly and must prioritise five possible responses (printing a copy of these as A5 cards can help them visualise the debate). Source J is the only one that can be used to categorically prove treason. You should continue to monitor the discussion and remind students that confrontational action against the King could bring about reprisals from Austria. Similarly, leniancy could bring violence from the mob. After all the evidence has been presented, students should reach a final judgement and present their rationale.